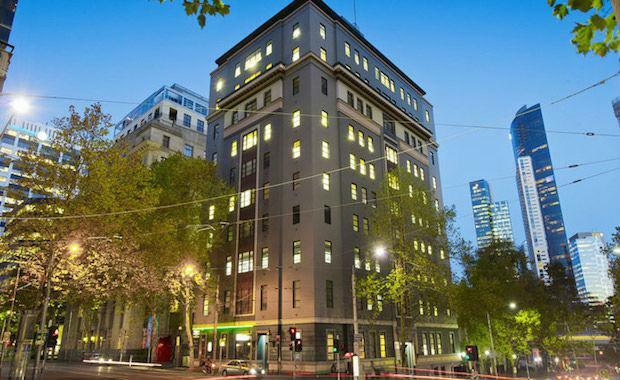 A Chinese group has bought Swann House, a ten-storey art deco office building in Melbourne's CBD for $21.6 million. Swann House has a net building area of 5,700 square metres and is 90 per cent leased. It was reported in The Australian that the sale was brokered by Eugene Wood of Kliger Wood Real Estate. The 826 square metre site fronts William Street and Flinders Lane and the building returns $1.328 million per year. Mr Wood told The Australian, "From a development perspective the building lends itself to a potential hotel or as residential which would have unencumbered views to the south towards the Yarra and the Southbank and Crown precinct".